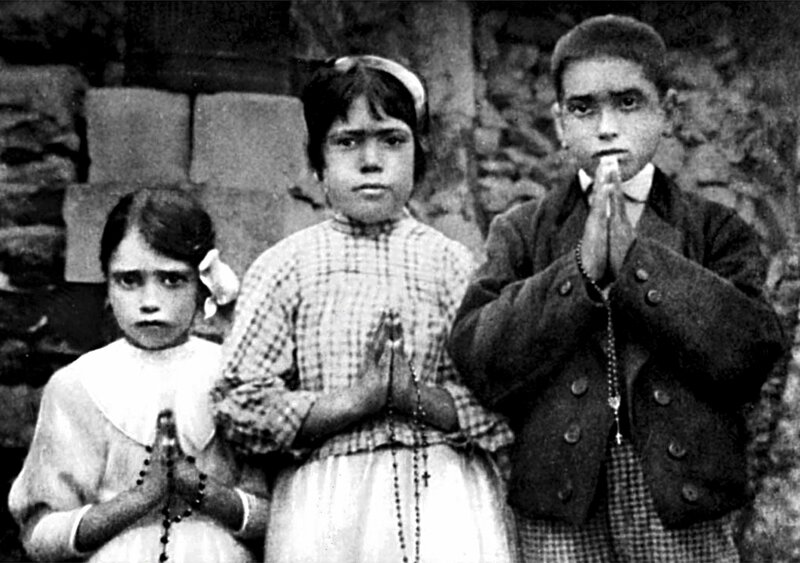 When Pope Francis goes to Fatima, May 12 to 13, for the centenary celebration of the apparitions of Our Lady to three Portuguese shepherd children, he will declare two of them saints, 10-year-old Francisco Marto and his nine-year old sister, Jacinta. It will be the first time in the history of the church that children who are not martyrs will be proclaimed saints. The investigation into the cause for the beatification and canonization of Francisco (1908-1919) and Jacinta (1910-1920) opened at the diocesan level on April 30, 1952, but was only concluded on June 2, 1979, when the documentation was transmitted to Rome. It will be the first time in the history of the church that children who are not martyrs will be proclaimed saints. Father Paolo Molinari, an Italian Jesuit who was the postulator of their causes, explained in a position paper for the process in 1988 the two main elements that helped to finally resolve that problem in a positive way. Drawing on information from Sister Lucia—their first cousin who witnessed the apparitions with them and died in 2005, at the age of 97, and is now on the path to sainthood—Father Molinari described the two children that will be declared saints on Saturday. In 1917, as World War I was being fought, Our Lady appeared to the three children six times in all. He said Francisco was “rather reflective and taciturn, good, reconciling, ready to give way to others rather than quarrel,” while Jacinta was “a rather lively and sensitive child, irritable and capricious, who easily got upset” but “had a very well-disposed heart” and “a sweet and tender character, that made her lovable and attractive.” She liked to dance and gather flowers with Lucia, he to play the whistle and sing. But even before the encounter with Our Lady they used to pray together while they watched their sheep, and also recited the rosary, sometimes at high speed so as to have more time for play. In 1917, as World War I was being fought, Our Lady appeared to the three children as they shepherded their parents’ sheep near what is now the Fatima grotto. She did so six times in all, beginning on May 13 and concluding on Oct. 13. We know what happened thanks to Sister. Lucia, who became a Carmelite nun and, at the request of the local bishop, wrote her memoirs of all the three children had experienced. She recalled that on her third appearance, July 13, the lady clothed in light revealed to them a secret in three parts. First, she let the children see a brief vision of hell—“we saw something like an ocean of fire. Immersed in the fire were the demons and the souls (of the damned), that were like transparent embers, black or bronze, that had human forms.” Next, the second secret, Our Lady told them that World War I would soon end but another world war would break out if people did not stop offending God and Russia was not converted. These first two secrets were made public in 1941, but the third—which speaks of the persecution of the church and the assassination of “a bishop dressed in white”—was only revealed by the Congregation of the Doctrine of the Faith in 2000 at the behest of John Paul II, who identified with the bishop being killed and attributed his survival of the assassination attempt on May 13, 1981, to Our Lady of Fatima’s intervention. Two paintings of Blessed Jacinta Marto and Blessed Francisco Marto are presented during a May 8 news conference in Fatima, Portugal (CNS photo/Rafael Marchante, Reuters). During the apparitions, Our Lady invited Jacinta, 7, Francisco, 9, and Lucia, 10, to console Jesus, so insulted by men, and to contribute, by their prayers and penances, to the conversion of those who with their sins offended God and earned eternal punishment. Our Lady asked them to keep all this secret, but after the first apparition Jacinta told her mother and soon the whole neighborhood and beyond came to know. People wanted to meet them, and they tried to hide as best they could. Butin August, hundreds of people began to arrive at Fatima for the day of the apparitions, and the local mayor put the children in prison and threatened to fry them alive in boiling oil unless they admitted that the whole story was false. Despite this, and other threats and punishments, the children never gave in; they held firm in their belief in Our Lady and, growing ever deeper in their love of Jesus, they offered their sufferings and prayers for sinners as she had requested. The final apparition on Oct. 13 ended with the sun turning in the sky, which was witnessed by thousands of people. Our Lady had told Francisco and Jacinta that they would have short lives, and so it happened that within two years they both died from the Spanish flu. But Lucia lived until the age of 97, wrote her memoirs and met three popes—Paul VI, John Paul II and Benedict XVI. On May 13, 1989, Saint John Paul II issued the decree recognizing that the siblings had lived the Christian life in a heroic way and then, after recognizing a miracle due to their intercession, he beatified the two shepherd children in Fatima on May 13, 2000. Next Saturday, exactly 100 years after the first apparition, Pope Francis will declare them saints. It is important to underline here—as Father Molinari did when first presenting their cause to the C.F.C.S.—that Francisco and Jacinta are being canonized not because they witnessed the apparitions but because, at a tender age, they led Christian lives and virtues in a heroic way, even in the face of opposition, threats and persecution (including imprisonment). I have known the story of the Fatima apparition since I was a child. The miracle still intrigues and mystifies me. (How could this be? What does it mean?) I will be praying to the Marto children, St. Jacinta and St. Francisco, on Saturday, thinking of the extraordinary grace that was given to them. They are, indeed, SEERS, Visionaries. They saw the Mother of God in this life, in this place. They came to know God as the most beautiful reality of existence. That is quite a vision. I agree with you, Beth. There is much to learn from the short but immensely rich spiritual lives of Jacinta and Francisco. Their brave acceptance of death is no less exemplary.